Dr Edward Duca, the project leader. International experts will next week discuss the future of science communication through creative mediums at an evening seminar for teachers and a full-day conference for the public to be held at the University of Malta’s Valletta campus. 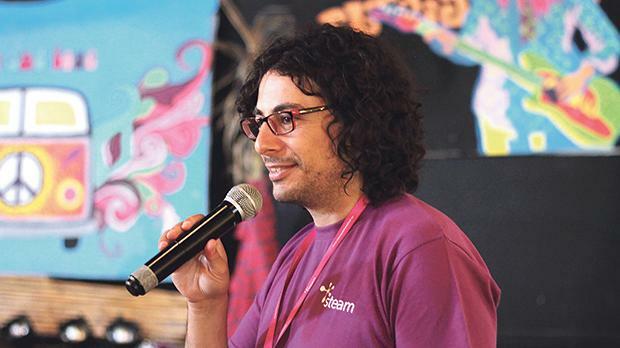 The two events, attendance to which is free of charge, will conclude a three-year EU project led by the University of Malta called Steam, aimed at training young researchers and educators of science, technology, engineering and mathematics (STEM) in innovative science communication techniques by marrying STEM with the arts. At the seminar for teachers, which will be held on Friday from 6 to 8.30pm, education experts from around Europe will showcase some of their most innovative educational activities through concurrent workshops, and give participants unique training in the delivery of creative STEM pedagogy. On Saturday, a full-day conference comprising engaging talks, workshops and networking opportunities, will be addressed by speakers from over 10 countries. During the workshops participants will explore the use of digital games, creative arts and even traditional Scottish dance to communicate science. The keynote speakers include Dr Angelos Alexopoulos from CERN, Prof. Ayelet Baram-Tsabari from the Israel Institute of Technology and Dr David Kirby from the University of Manchester, author of Lab Coats in Hollywood: Science, Scientists and Cinema. The Steam project is organised in collaboration with a consortium of six European partners and is funded by the EU’s Erasmusplus programme with support from the European Commission. For more information and to register for the teachers’ evening seminar or the full-day conference, visit the websites below.